Female Workers Break Stereotypes in Karachi In Pakistan's male-dominated society, women are increasingly breaking stereotypes — taking charge of development in the slums of Karachi and working through the government bureaucracy to get projects done. 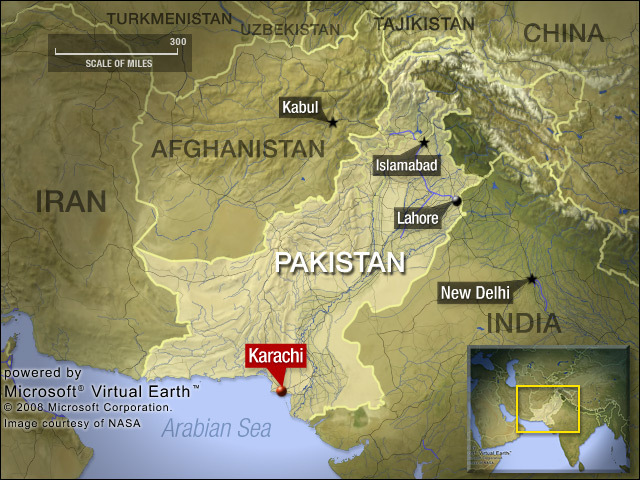 In Karachi, Morning Edition begins an examination of the world's expanding cities. Sabra Khadun and neighbors are digging a water line. They have been buying water in tanks, but it has become too expensive. 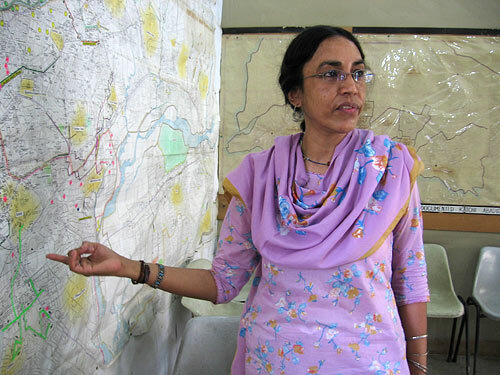 Parveen Rehman left a job at a high-end Karachi architectural firm to join the Orangi Pilot Project, a nongovernmental organization that supports people living in illegally built settlements. This year, according to the U.N., half the world's population lives in cities, and the proportion will only increase. Morning Edition begins an occasional examination of the world's cities with a series of profiles from Karachi, Pakistan's economic powerhouse. Morning Edition host Steve Inskeep writes about the contradictions of Karachi. As many as half of the Pakistani city's 15 million or so residents live in squatter homes, even as foreign firms pour money into luxury developments. On a narrow, unpaved Karachi street that has never had water service, a handful of men were digging a trench recently. They were digging it for their own water line, at their own expense. For this part of Karachi, that's normal. But surprisingly, for this part of the world, a woman was supervising the men. Sabra Khadun has a cold, steady gaze and a stud in her nose. She explains that everybody on the street is donating money for the water line. She lives in a tiny house, in a settlement that you could call a slum. The living room is painted pastel blue. And there's a cushioned wood couch, big enough to hold a few of her 11 children — four sons and seven daughters. Every child's name begins with the letter "S," just like hers. 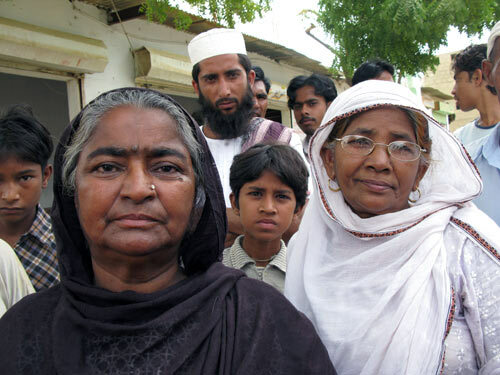 It's not unusual to find women in leading roles in Karachi's development. At the city's public universities, female students vastly outnumber the men in key fields like architecture. People aren't sure why, but it's happening. 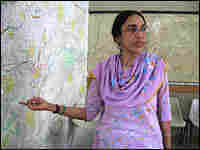 One of Karachi's former architectural students is Parveen Rehman. She started her career dismayed by the work she was doing. "When I graduated, I was very confused," she says. Rehman worked for a famous architect, designing a hotel, when she decided to walk out and change course. She ended up going to work instead for an organization called the Orangi Pilot Project. It gives poor people the help they need to dig their own sewers, or water lines, when the government does not. Rehman vividly recalls something that she heard from the project's male founder, who spoke of the power of women. He compared himself to a grandmother — "not your grandfather, because your grandmother gives love ... and through love she's able to encourage and make people grow." Women are active in the development of Karachi, but Rehman says "they do not like to publicize" their roles. A woman "is in charge of the entire house, [the] entire budget," Rehman says. "And if she's not convinced, no money can be let out for the development. 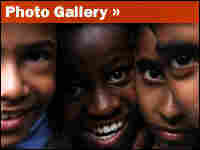 No house can be improved, no child can go and get educated. It's a woman who [makes] the decision. "But when you go into some house, a man will come and talk and be very upfront and high profile, because by nature the women have been very gentle but persuasive. They know how to persuade their men ... to do the things that they want to get done." Dealing with government officials initially was difficult for women, Rehman says. If women told an official, " 'You do this, you do that' ... he would start avoiding us. There's a lot of things he can't do. The system is such. But now we go and we say, 'We want your advice. Please tell us what to do,' and they feel very happy. "I feel sometimes — not with men and women — with any group, if you come just upfront and try to be ... the person taking credit for everything, that's where things start going wrong," she says. Once you rise up horizontally, you take everybody with you. But if you want to rise vertically, you will rise, but then nobody will be there for you." 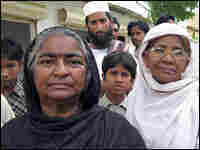 Rehman heads a research center in Orangi, a section of Karachi. She also teaches a college class in architecture. The list of students right now includes 11 women — no men.